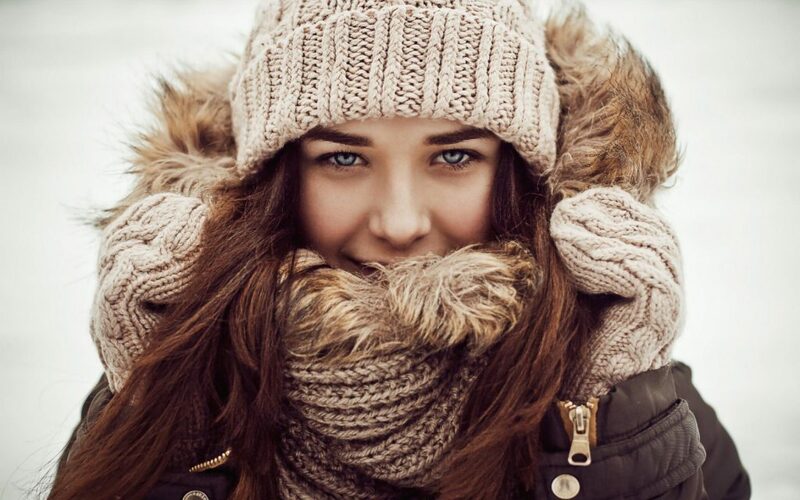 With the winter breeze freezing the tip of your nose, you must have been roaming around covering your body to keep it away from the dry and frizzy weather. We can understand how hard it can be sometimes while hiding the dry flakes coming out of your skin or the snowfall falling out of your dry scalp. However, there is always a solution to your every single problem. Here are a few tips for you to keep your charm while you enjoy the cool breezy winter to the fullest. You might have noticed that your hair falls dull and dry during the winter even when you have washed them just the same morning. Well, here are some small tips that will definitely help your hair to stay healthy and moisturized. First of all, it is very necessary to use mild shampoo during the winters as the hair tends to fall weak and too many chemicals can damage your hair instantly. Secondly, do not forget to condition your hair. In summers, you may skip the conditioner once or twice but in winters you will have to spend that extra time in your washroom. If you plan on using heat to style your hair, then make sure your hair is properly conditioned or else try to omit that choice. Thirdly, make it a routine to oil your hair at least once every week, if you do not want your frizzy hair to ruin your weekend. Also, trim your hair as the dry ends tend to split during winters. So keep it neat, trimmed and hydrated. Your lovely shiny glowing skin suddenly starts disappointing you during the winters. Your skin feels dry and dull just five minutes after your shower. Even the moisturizers don’t seem to help too much. There is a very simple solution to this problem of yours. The first tiny step you need to take is to drink a lot of water. Just because the summer sweats stopped dropping, don’t feel that your skin has enough water to survive winters. Next, you need to swap all your alcoholic skin products with more natural deep moisturizing products. Apply a nice moisturizing night cream to pamper your skin while you snore your stress out. Also, try not to neglect that sunscreen lotion that you dearly loved during the summers. The sun’s glow can still take away your glow. Do you feel a bit of a hesitation before you extend your hand out for a formal handshake? Well, don’t feel embarrassed because that’s the case with a lot of people having dry skin. The skin on your hands needs a little bit of extra care than your face. You can enhance your moisture by doing one simple step. Before going to sleep, clean your hands and apply lotions with intensifying moisturizers and cover your hands by wearing a glove. Sleep with the gloves on and see how soft your hands feel in the morning. Just like your hands, your feet too need extra care. Your feet take you all the places you desire and it’s your duty to love them and care for them. And just like your hands, you can soften your feet in the same way. Scrub your feet so that the dry dead cells leave the comfort support of your heels. After Scrubbing, apply strong moisturizing lotion and cover your feet with nice warm socks. You will be shocked to see how soft your feet would feel in the morning. All of your beauty care will go to waste if you leave your lips chapped. Lips are the most prominent feature of your body and you must keep them glossy and moisturized. Winter tries really hard to take the healthy look away from your lips, but if you take even minimum care of it, you will be able to keep them luscious. Apply moisturizing lip balm before you go to sleep. That is the basic step you always need to remember. Other than that, try avoiding matt lipstick because it tends to make your lips drier and embarrass you by peeling off unevenly during your entire day. You can also try a homemade lip scrub to keep it healthy. Mix brown sugar and honey together in a small container and start scrubbing your lips until it felt softer and brighter. Try that at least once in two weeks and you will have the best winter lips you could imagine. So people, as beautiful the winter may look like, it is as harmful to your skin. Take a little care of your skin and your skin will appreciate you back. Avoid too hot showers and eat healthily. We will be back with more season tips soon. Until then, stay hooked, stay beautiful!